Happy Hannukah / Chanukah / Hanukah! 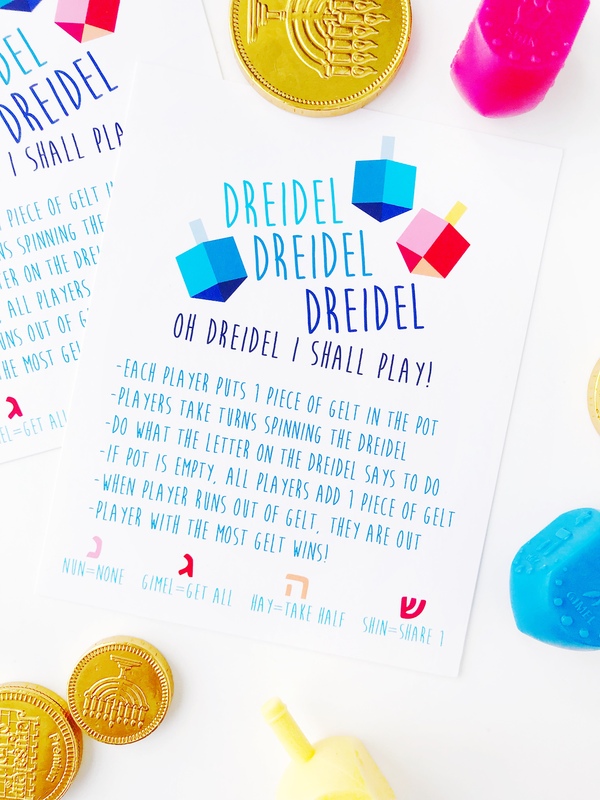 Here’s a fun dreidel game starter kit to give to your kiddos or your students. 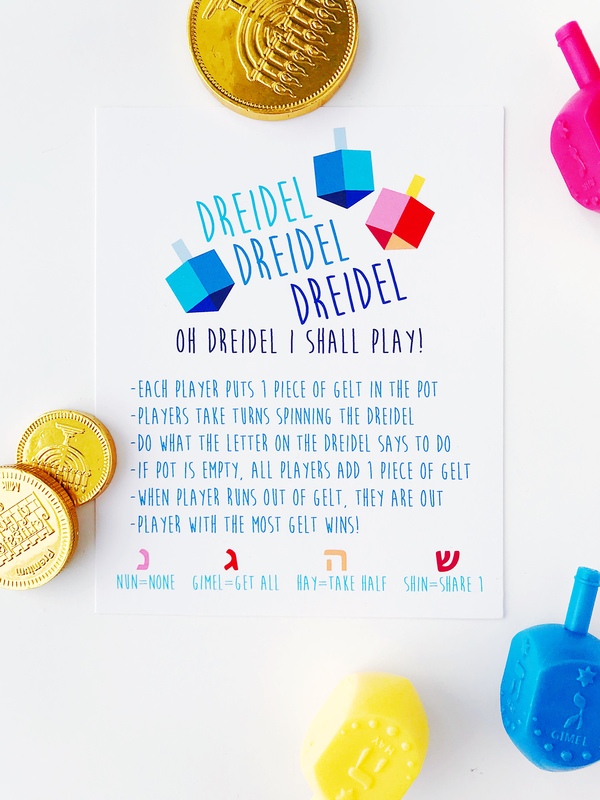 Just add dreidels (HERE) and gelt (HERE). Print the cards HERE and cut. 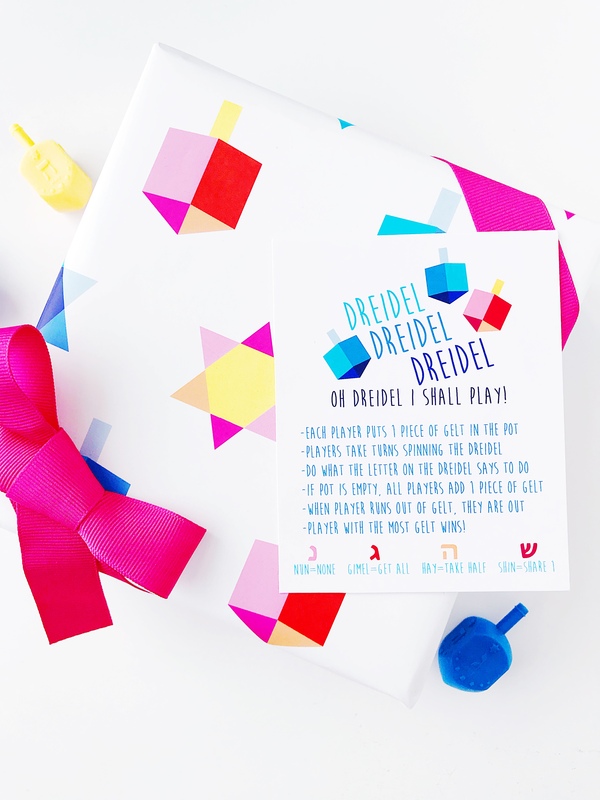 It also just happens to match our wrapping paper (HERE).